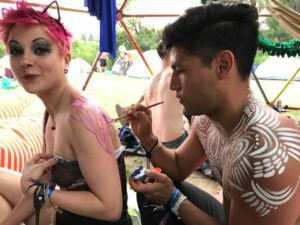 At Dragon Burn you will find a lot of workshops. Who runs them? YOU of course! 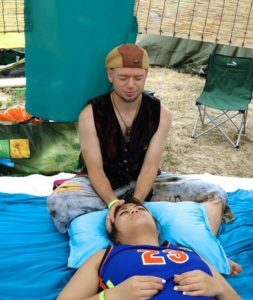 Many participants want to share their passion for a particular subject with others, be it acroyoga, reiki, a game they like, or even how to get nasty. Pretty much anything can become a workshop, you just need to be willing to share it with others. It helps if people know about your workshop before it happens. There are two main ways to make sure this happens. The first is to join a theme camp. Theme camps have their own space and are encouraged to host workshops for other participants. Failing that you can apply through us and we can help you find a place, either at Center Camp or anywhere else we can find. If you wish to let us know about a workshop fill out the application form!